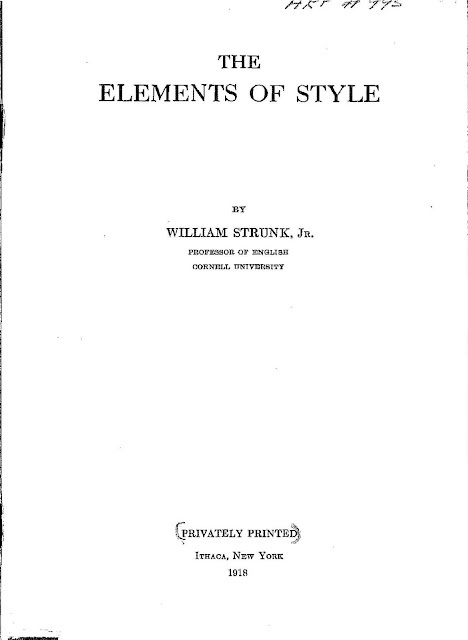 I collect multiple copies of The Elements of Style. In this blog entry, I will display my collection, and identify some of the revisions for each edition. 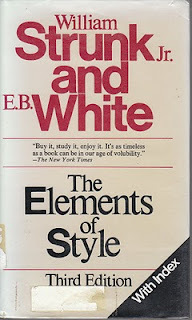 To date, I have thirty-seven copies of The Elements of Style, and one copy of The Elements and Practice of Composition. 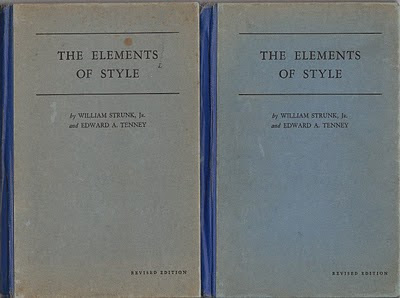 Ten copies of The Elements of Style are collectible copies of pre-1959 editions. One of them is a copy of the 1919 edition. Four of them are reprints of the 1920 First Trade Edition. Three of them are copies of the 1934 Revised Edition. 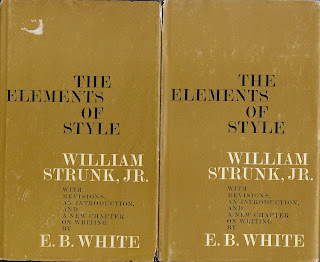 And two are copies of the circa 1940 edition, published after Strunk retired. I am actively seeking a copy of the 1918 edition. Please contact me if you have a copy for sale. In the meantime, I will refer to the 1918 edition on Bartleby.com. 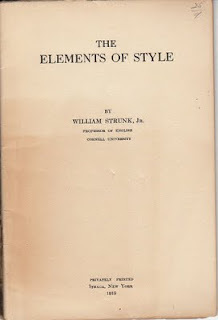 Below is an image of a copy of a 1919 edition of The Elements of Style which I recently acquired. Press of W.F. 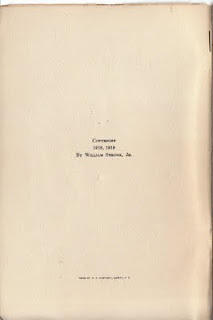 Humphrey, Geneva, N.Y.
What struck me right off was that the 1919 edition was privately printed by W. F. Humphrey, Geneva, N.Y.. 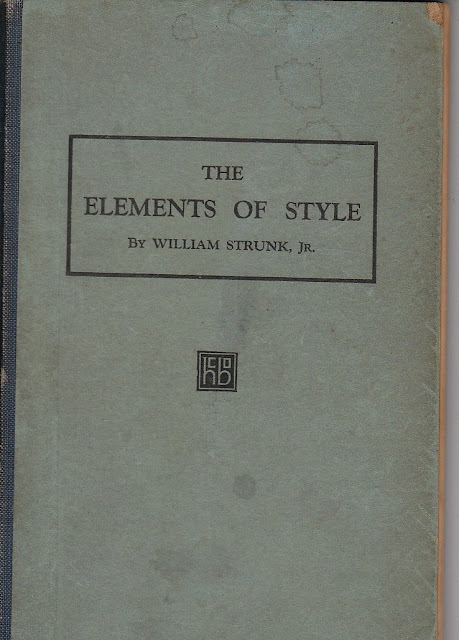 The 1918 edition was supposedly privately printed by W. P. Humphrey, Geneva, N.Y. – at least, that's what everyone, including me, had been led to believe (See my post: A Correction to the Bibliographic and Copyright Records of Strunk's Elements of Style). 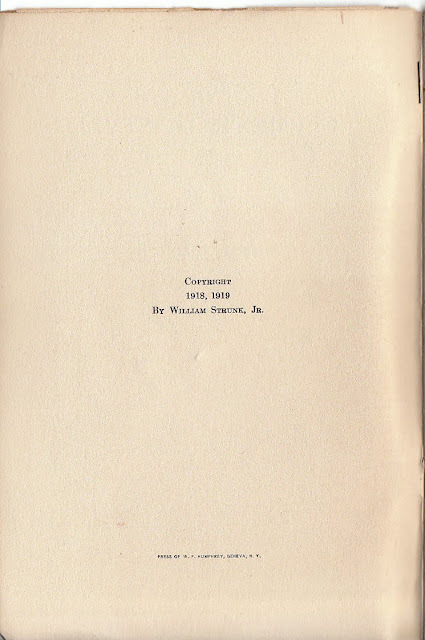 Surprisingly, there were several changes between the 1918 and 1919 editions. Place a comma before a conjunction introducing a co-ordinate clause. Several words, including the word, but, were added to Section V. Words and Expressions Commonly Misused. 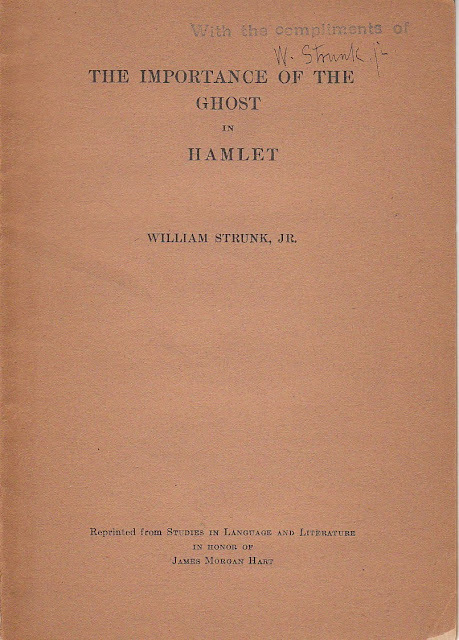 The edition pictured above is not an image of the first trade edition. 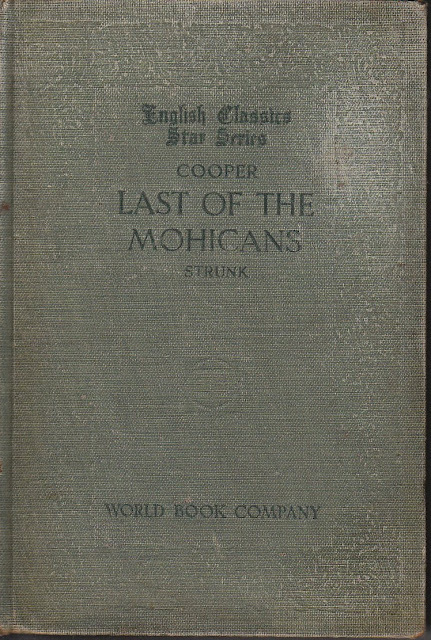 Harcourt Brace and Howe published the first trade edition in 1920. 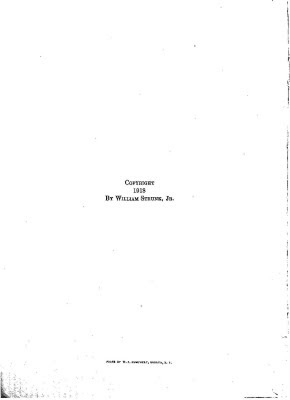 Will D. Howe left the firm sometime in 1921, and the firm officially changed its name to Harcourt, Brace and Company. 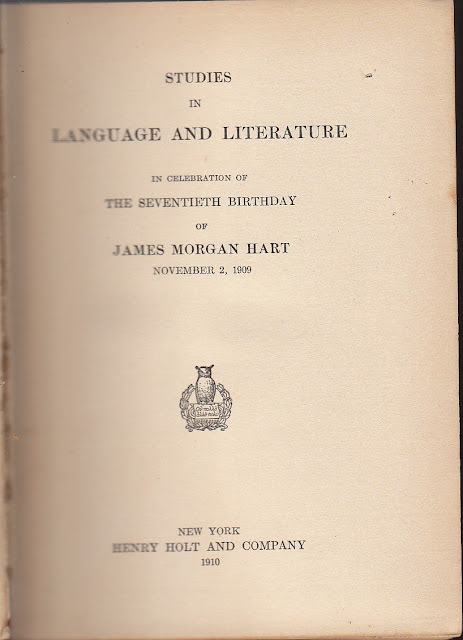 I have four copies of the edition printed by Harcourt, Brace and Company. I bought my first copy in May, 2001, and have bought six copies in all (I gave two copies away as gifts). I have seen listings for another ten copies. 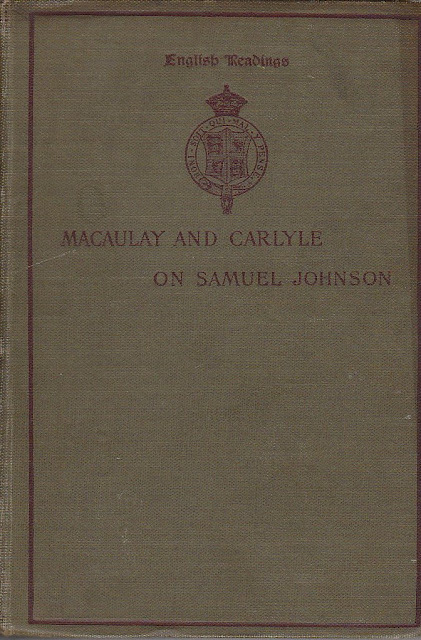 There were several changes in the 1920 first trade edition as well. I. Introductory: There were minor changes to the wording in this chapter. II. 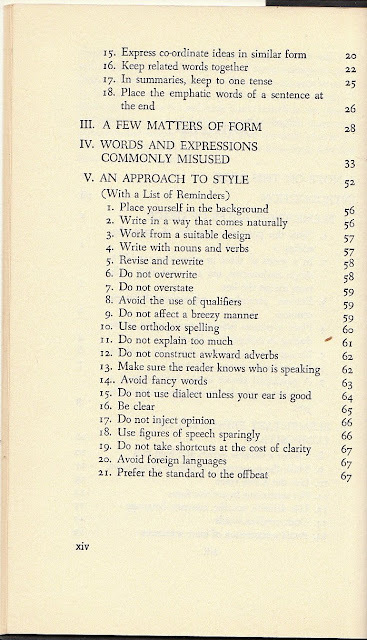 Elementary Rules of Usage: One rule, rule 8, "Divide words at line-ends in accordance with their formation and pronunciation," was eliminated in the 1920 edition. III. 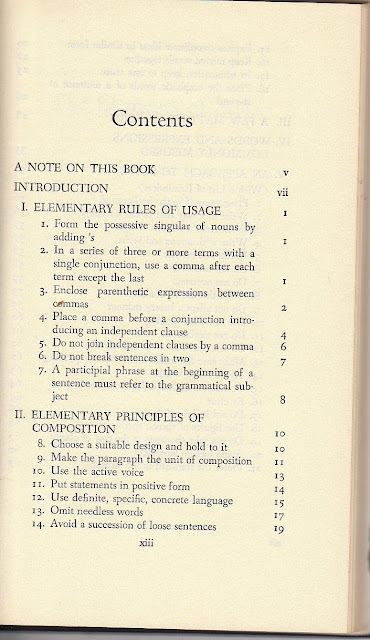 Elementary Principles of Composition: One principle, "use definite, specific, concrete language," was added . IV. 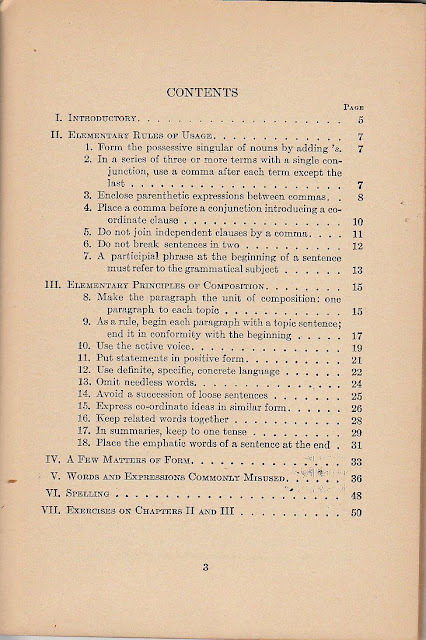 A Few Matters of Form: One additional heading, "Syllabication," was added. 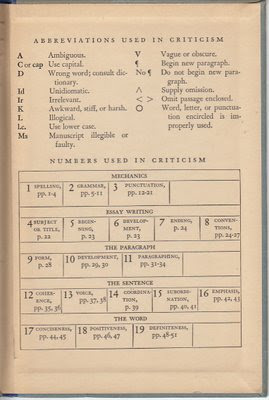 The Syllabication chapter provided clearer methods of dividing words at the end of a sentence than Chapter II, Rule 8 of the 1918 edition. V. Words and Expressions Commonly Misused: There were minor word changes. 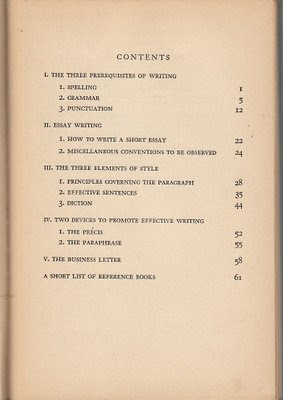 The title of Chapter VI was changed from "Words Often Misspelled" to "Spelling." Several words were deleted while others were added. A new chapter was added to the 1920 edition: VII. Exercises on Chapters I and II. It contained 25 exercises printed on three pages. I don't know how much input Edward A. Tenney had in this revision, but I suspect it was quite a bit. 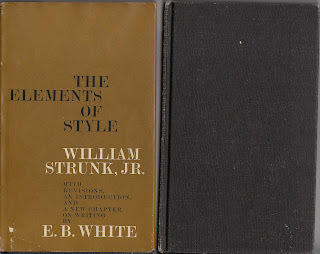 I do believe, however, that Strunk was responsible for providing a ready reference table for abbreviations and numbers used in criticism of papers graded in the Cornell course on English Usage and Style. 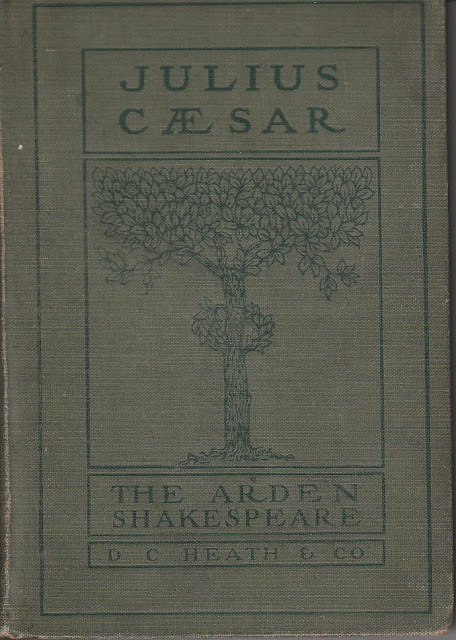 The 1934 edition is a totally different book than the earlier editions. 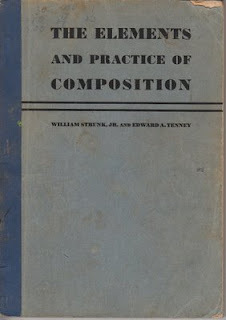 In fact, when 47 practice leaves were added to the 1935 and 1936 editions, the title was changed to The Elements and Practice of Composition. I had never seen a copy of either the 1935 or 1936 edition available for sale until I spotted a copy of a 1936 edition on Amazon.com a couple of years ago. I grabbed it. 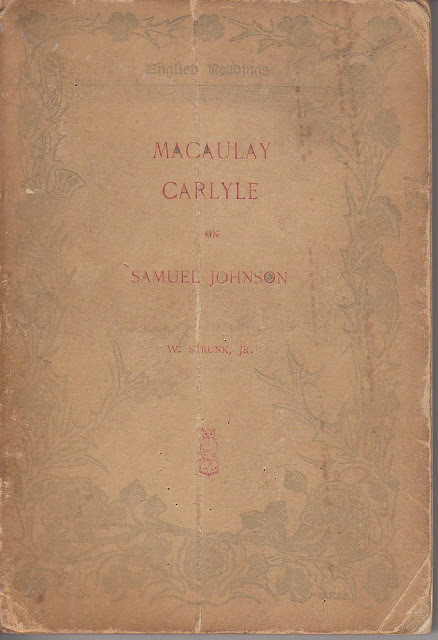 The 1936 edition is a softcover and is two inches longer and one and a half inches wider than the 1920 and 1934 editions. 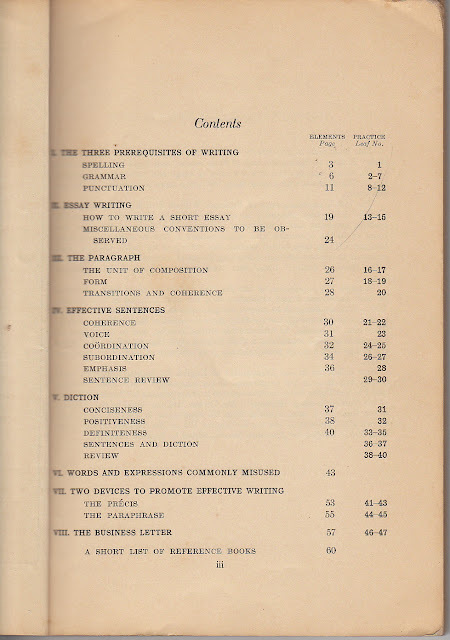 Surprisingly, the Table of Contents of the 1936 edition was totally revised from that of the 1934 edition. 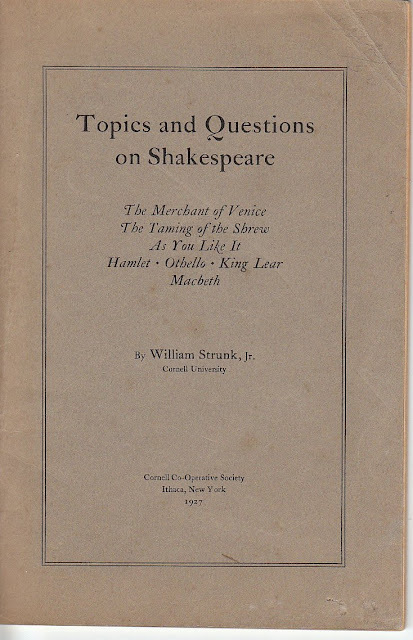 I believe that Edward Tenney was responsible for the changes because Strunk was in Hollywood from July 1935 to June 1936 as the technical adviser for MGM's Romeo and Juliet, directed by George Cukor. 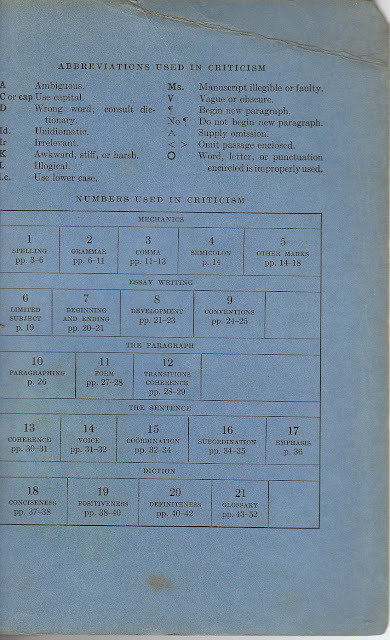 The Table of Abbreviations used in criticism changed somewhat as well. The 47 practice leaves were included in the 1935 and 1936 editions. 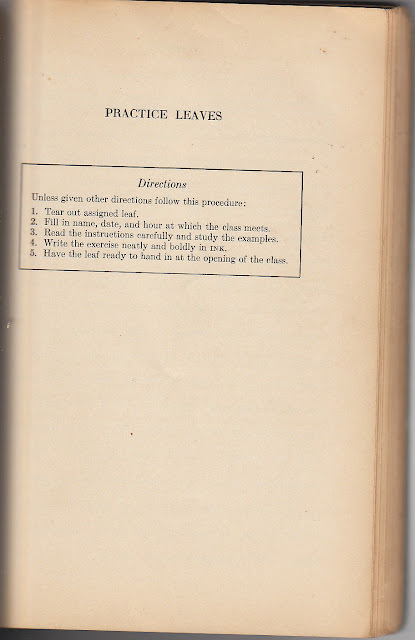 The practice leaves were in tablet form for the 1934 edition. This practice proved to be inconvenient and expensive. The practice leaves for the 1936 edition were removable, and students were instructed to tear out the assigned leaf , write the exercise in pen, and turn them in at the beginning of the class. Each leaf had two sides. My copy is lacking leafs 1, 2, 5, 6, 7, 10, 12 ,14, and 36. This is the first pre-1959 edition I bought, acquiring it sometime in 2000. I acquired a second copy in early 2012. 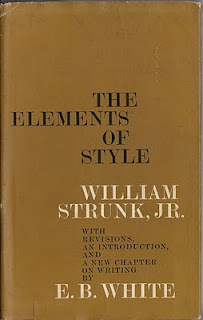 The key information in determining when this edition was published is the term "Emeritus." 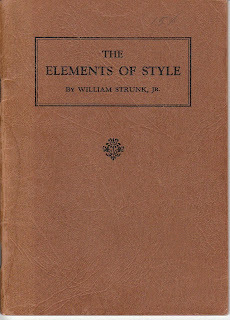 Strunk retired in October, 1937, meaning this edition was published sometime after 1936. 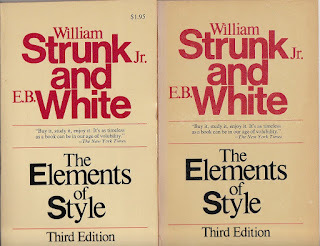 The format of the Strunk & Tenney edition evidently wasn't popular at Cornell because Cornell went back to using the same Table of Contents as the earlier editions. This is the book that E.B. White made famous. I currently have one copy of the true first printing, the fifth printing and three copies of the book club edition. Another fifth printing is lacking the dust jacket. Can you tell which copy is the true first printing and which copy is the book club edition? You can't by this picture. 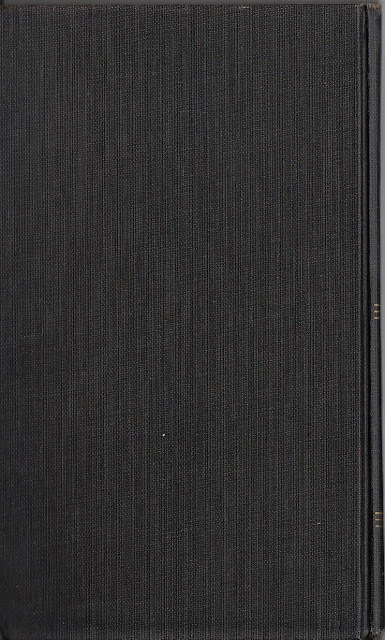 The true first printing has a price of $2.50 printed on the inside flap of the front cover of the dust jacket. The book club edition does not have a price printed on the inside flap. There is another way to tell a true first printing from a book club edition. The book club edition has an indented square stamped into the bottom right corner of the rear cover. Here is an expanded view of the indented square. 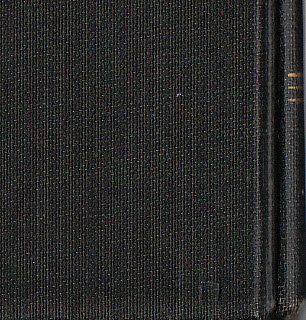 The price for the 5th printing is printed in the bottom right hand corner of the front inside flap, whereas it was printed in the top right hand corner of the first printing. 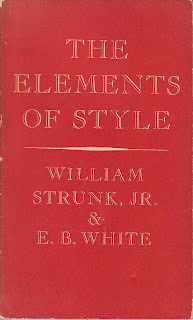 This is a paperback copy of the 1959 edition of The Elements of Style by William Strunk, Jr. and E.B. White. I have a sixth printing and a ninth printing. Two copies of the 1962 Macmillan Paperbacks Edition. 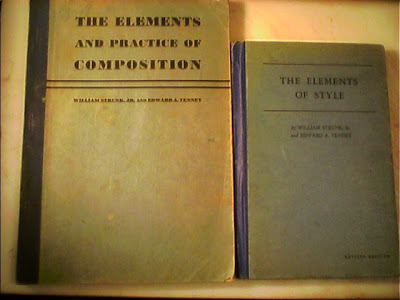 One of them is the fifteenth printing (1967) of the 1959 edition, and the other is the seventeenth printing (1968). Both copies were marked $.95. 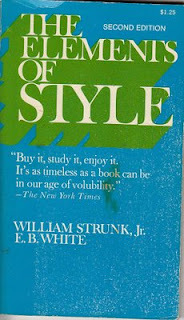 This is a paperback copy of the 1972 Second Edition of The Elements of Style by William Strunk Jr. and E.B. White. I currently have three copies of this edition, one of whose marked price is $1.25, and another's is $1.65. The price on the third copy was punched out. 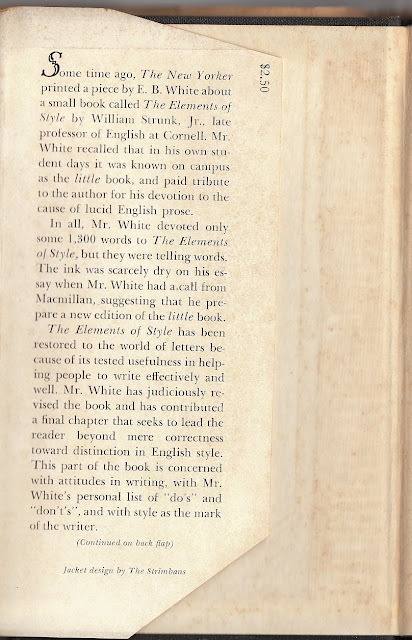 White deleted the Note on this Book and included the information in the Introduction. He kept the same Table of Contents as before, while providing additional examples of rules and updating other examples. 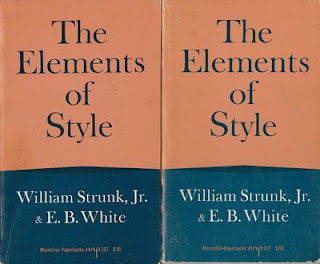 Immediately below are three paperback copies of the 1979 Third Edition with Index, all of which are different printings. The listed price of the eighth printing was $2.95. 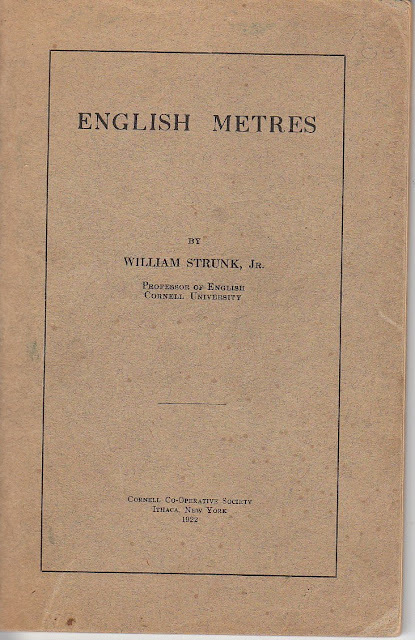 The listed price of the twenty-third printing was $4.95. And the listed price of the thirty-second printing was $5.95. Here are two oversized unpriced paperback copies of the 1979 Third Edition with the Index. Here is an oversized hardback copy of the 1979 Third Edition. Its marked price on the inside flap of the dust jacket is $11.95. 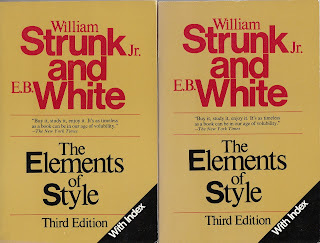 Here are two later paperback printings of the 1979 Third Edition without the Index. As of June, 2010, I have four copies of this edition. One of them is price parked at $1.95. another is price marked at $2.25, and two are unmarked pricewise. 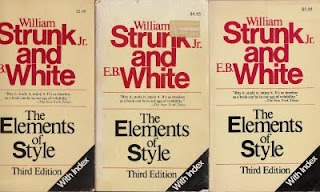 The major difference between the second and third editions is that Strunk added four rules to Chapter I. Elementary Rules of Usage. 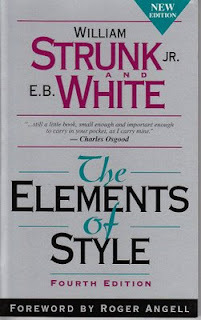 This is a later printing, in hardback, of the 1999 Fourth Edition of The Elements of Style. 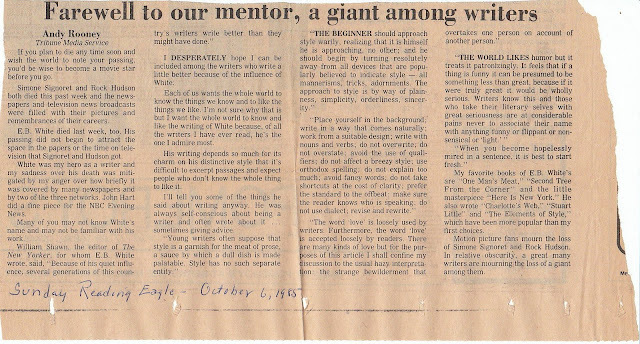 Roger Angell, White's stepson, edited this edition, providing a new Forward, and updating some of the examples. The marked price of this edition is $14.95. This is a softcover copy of the Fourth Edition. I currently have four copies of this edition. This concludes the display of My Elements of Style Collection. 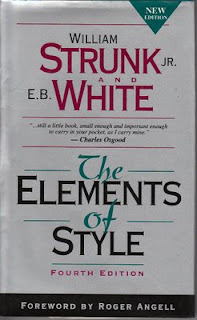 If you'd like to see Strunk's other books which are in my library, click here.